Hi, I’m interested in Born To Be Riled - Clarkson.. Please contact me. Thanks! 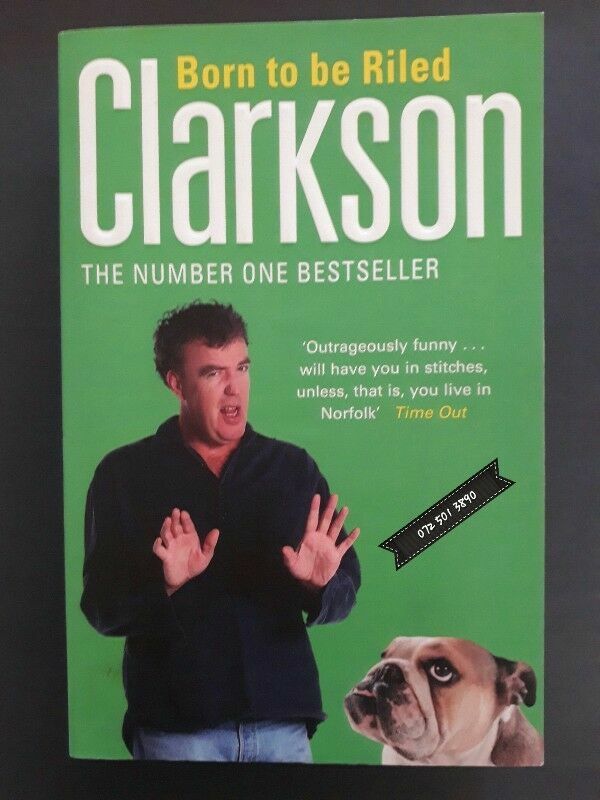 Born to be Riled is a collection of hilarious vintage journalism from Jeremy Clarkson. Jeremy Clarkson, it has to be said, sometimes finds the world a maddening place. And nowhere more so than from behind the wheel of a car, where you can see any number of people acting like lunatics while in control (or not) of a ton of metal. In this collection of classic columns, first published in 1999, Jeremy takes a look at the world through his windscreen, shakes his head at what he sees—and then puts the boot in. Among other things, he explains why Surrey is worse than Wales, how crossing your legs in America can lead to arrest, the reason cable TV salesmen must be punched, that divorce can be blamed on the birth of Jesus Raving politicians, pointless celebrities, ridiculous "personalities," and the Germans all get it in the neck, together with the stupid, the daft, and the ludicrous, in a tour de force of comic writing guaranteed to have Jeremy's postman wheezing under sackfuls of letters from the easily offended.